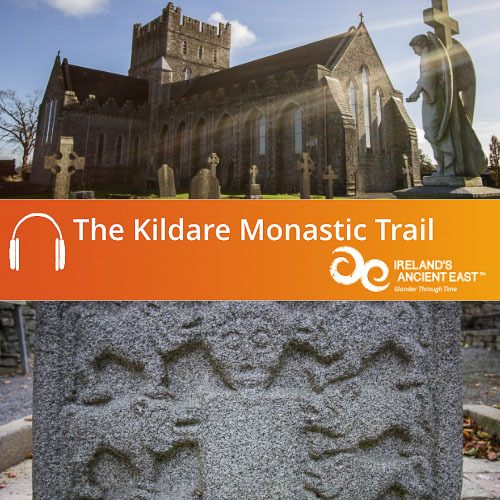 To download your free Buttevant Heritage Trail Audio Guide simply add to basket and complete the check out. The audio guide will download as a .zip folder containing the MP3 tracks that make up the audio guide. 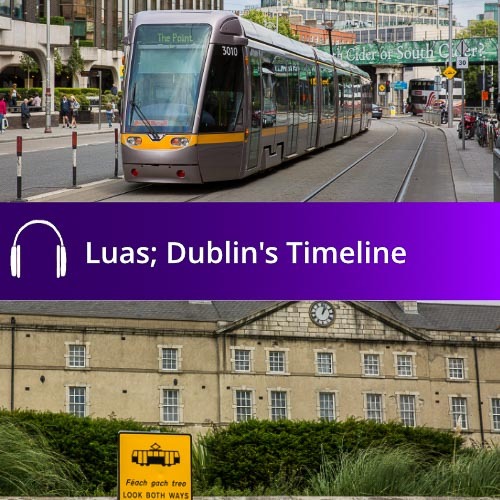 Once downloaded you can copy the audio files to iTunes or your favourite media player and enjoy. Welcome to Buttevant. 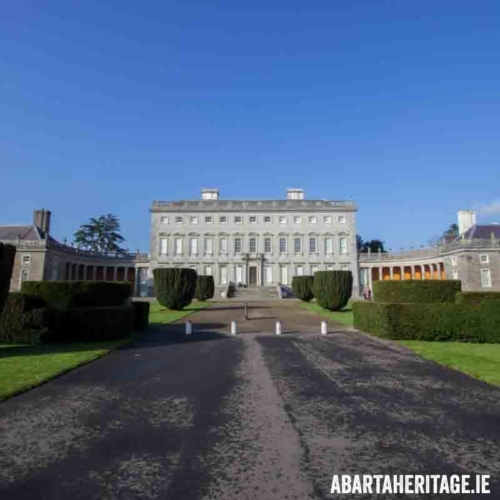 If you scratch below the surface of this vibrant Cork town, and take the time to investigate some of its hidden corners, you will discover that it has deep medieval roots, and is alive with tales of the entrepreneurial spirit that typifies the town and its residents. 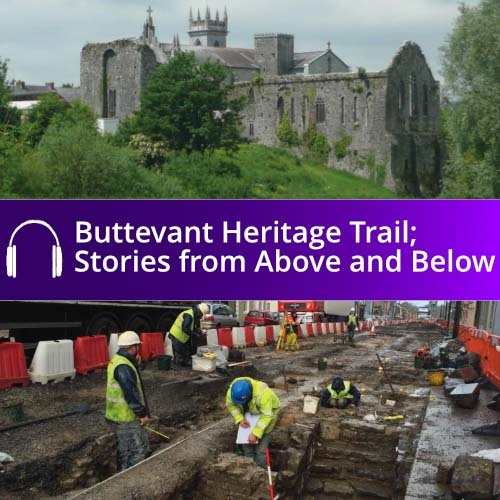 The Buttevant Heritage Trail Audio Guide, has been written by the local community and produced by Abarta Heritage on behalf of Transport Infrastructure Ireland. It will introduce you to the fascinating stories of the town. 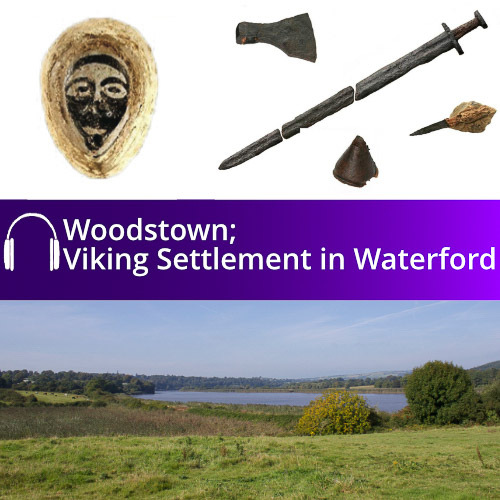 The guide includes information about the latest important discoveries that were made during the archaeological investigations in the town in 2011. 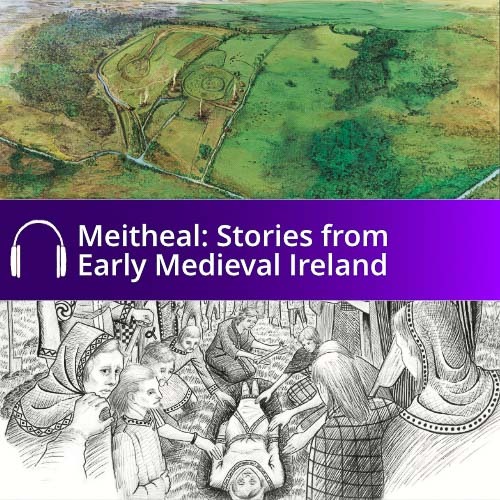 You will hear stories of how Buttevant’s big dig shed new light on the town’s medieval origins, and how the town developed under figures like John Anderson. 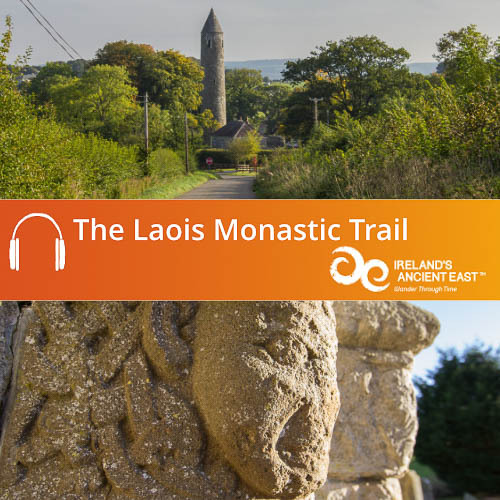 You’ll also discover the story of the world’s first steeple chase, and hear the gravelly voice of a stone gargoyle who has witnessed the town’s story. 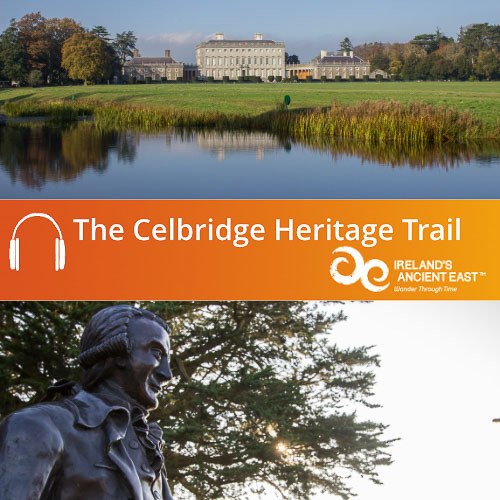 This audio guide was produced by Abarta Heritage on behalf of Transport Infrastructure Ireland, and with the support and participation of the people of Buttevant. We would like to offer a special thanks to all the storytellers of the town who kindly contributed their knowledge and insights, particularly:Ann Coughlan, Noel Coleman, Jack O’Donnell, Marion O’Sullivan, Denis’ O Sullivan, Gabriel O’ Callaghan, Emily Dumunfort, Dolores Cronin, Catherine Roche, Janette Guiney, Tom Blake and Frank Trimm. 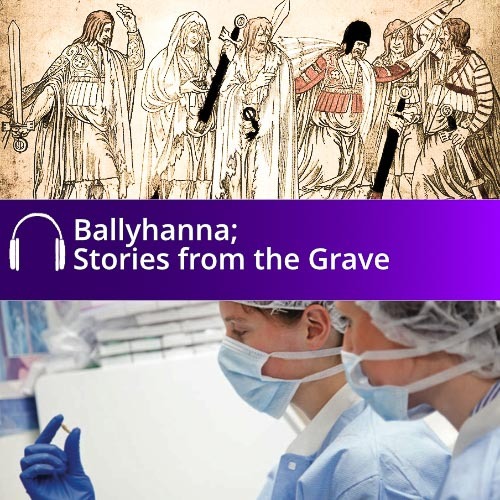 The archaeological information that helps to shine new light onto the story of Buttevant is thanks to Priority Construction Ltd, Rubicon Heritage Services, Arup Consulting Engineers, Kieran McKeone of Cork County Council and Ken Hanley of Transport Infrastructure Ireland.